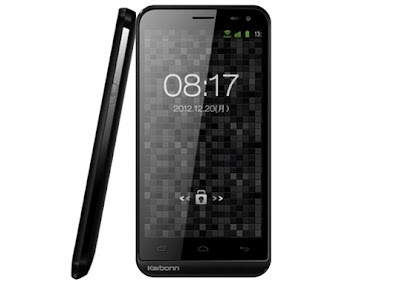 Indian mobile manufacturer now launches its new smartphone in India, named as Karbonn Smart A12 and priced at Rs. 7,699. It is a Dual-SIM (GSM + GSM) smartphone. It come with 4.5-Inch FWVGA capacitive multi-touch screen with qHD 960 x 540 pixel screen resolution.It runs on Googl's Android v4.0 (Ice Cream Sandwich) operating system and powered by 1.5 GHz processor and 512 MB RAM. Smart A12 built-in with dual-cameras, 5.0 Megapixel rear shooter and 0.3 Megapixel front facing camera. Its rear camera built in with Auto focus, LED flash light, 854 x 450 pixel video recording features. This smartphone sports 4 GB internal storage space for storage needs and it expandable up to 32 GB via MicroSD card slot. Smart A12 get power from a 1800 mAh rechargeable battery. This smartphone offers connectivity options through 3G, EDGE, Wi-Fi (802.11 b/g/n), WAP, USB, GPS (with Google maps), and Bluetooth (with A2DP profile). The device loaded with some business features including Document Viewer, Document Editor, Kingsoft Office, and Outlook. For entertainment needs it has a video player, audio player, FM radio with recording, and super games including Angry birds game. Light, Proximity, and G-sensors enabled. This smartphone pre-loaded with some apps, such as Skype, Google Talk, Google Play Store, WhatsApp, Google Plus, Gmail, Facebook, YouTube, News, Weather, Saavn, and Google Apps. 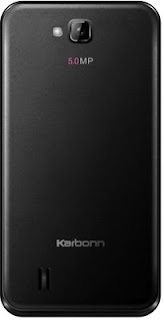 Karbonn Smart A12 Smartphone now listed on Indian online retailer Flipkart for Rs, 7,990 INR.